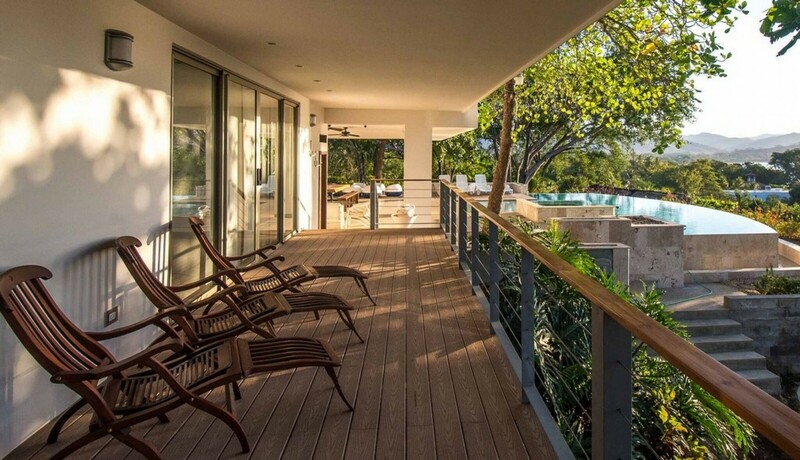 Welcome to Casa Camaleon, this stunning five bedroom villa boasts panoramic ocean views ideally situated in the hills above Playas del Coco and surrounded by greenery. 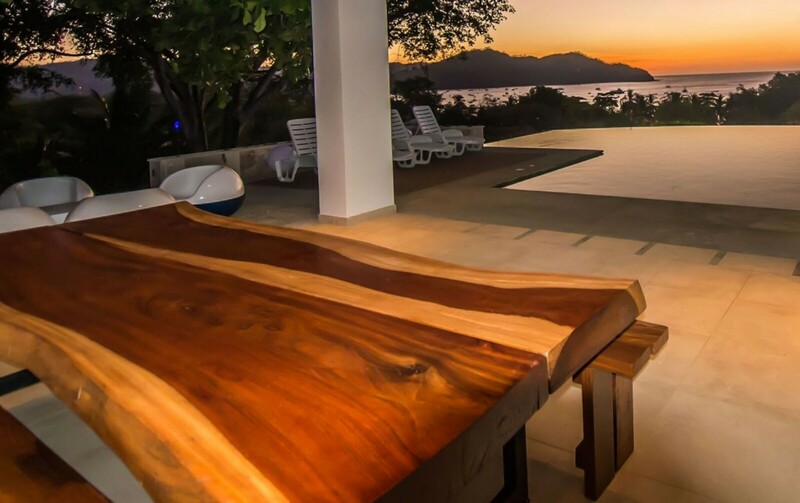 Understated elegance, abundant amenities and services, and proximity to one of Guanacaste’s most coveted beaches make it the perfect home away from home for your Costa Rica vacation. Playas del Coco is a popular spot for vacationers from all corners of the globe. Many come for the world-class deep-sea fishing and diving. 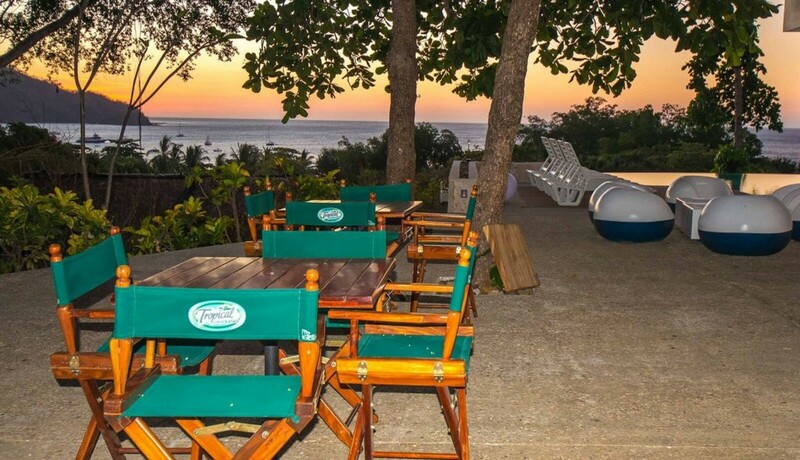 A favorite place for locals as well, you might even meet a Tico staying in their own Playas del Coco villa near yours. A rollicking nightlife, delectable restaurants, and fine entertainment bring the area alive with culture, while the grassy beachfront plaza is the perfect place to relax at sunset. 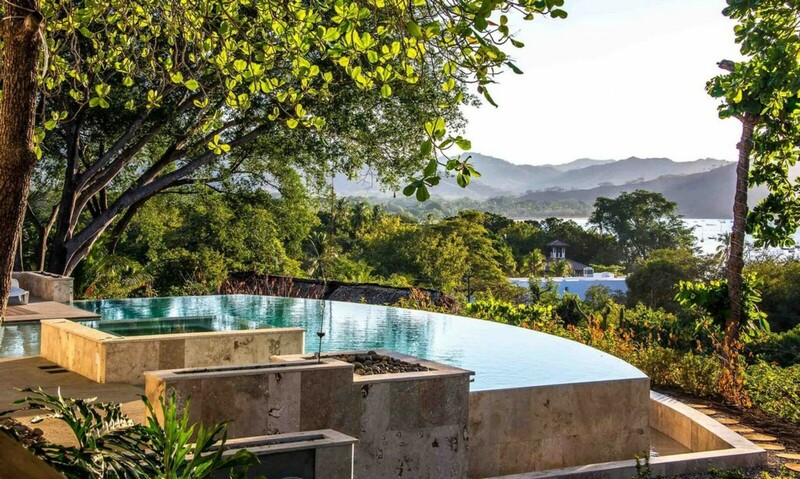 Take a tour to Arenal Volcano, to Gorilla Rock, through nearby mangroves, or in Tamarindo. 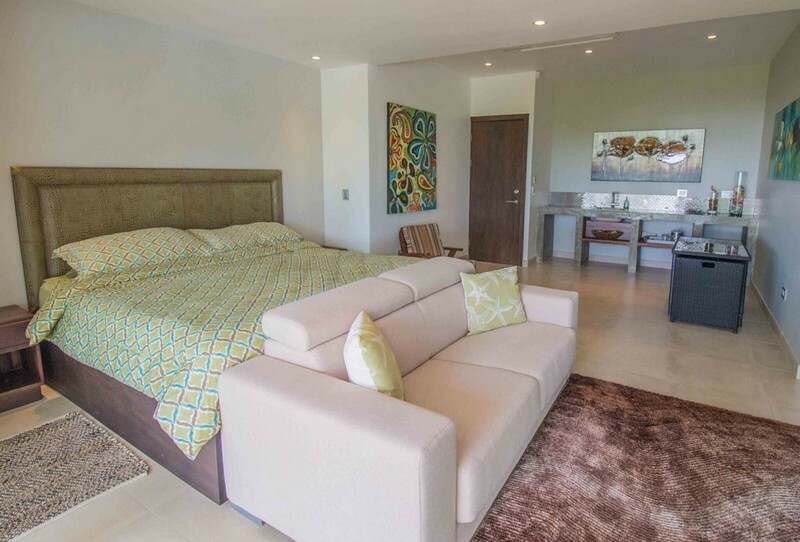 This gated villa in Costa Rica is just one story, but it boasts thousands of square feet of luxurious comfort for you and your group to enjoy. 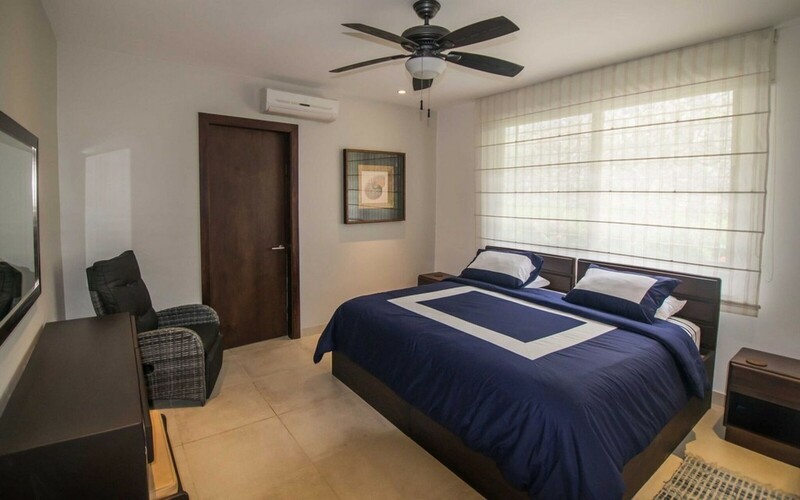 Five bedrooms contain a variety of beds, including kings, queens, and twins, offering accommodations for up to 12 people. 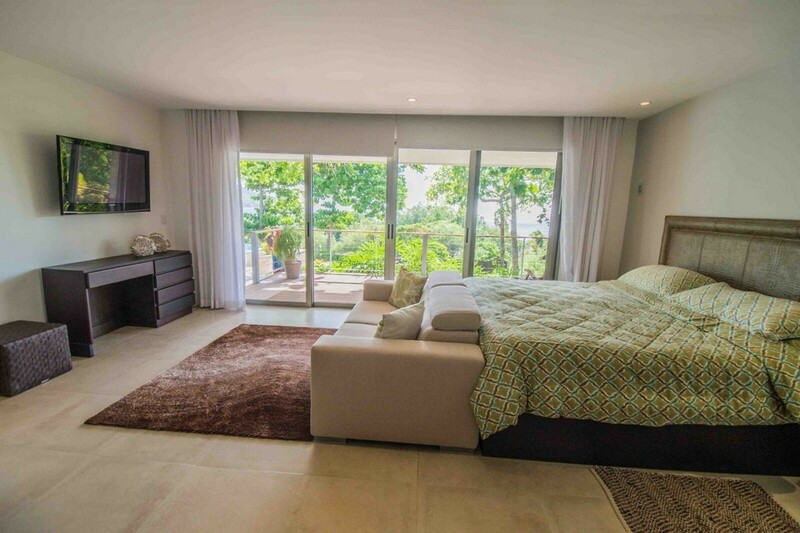 The bedrooms feature their own en-suite bathrooms, sleek décor, and ocean or rain forest views. 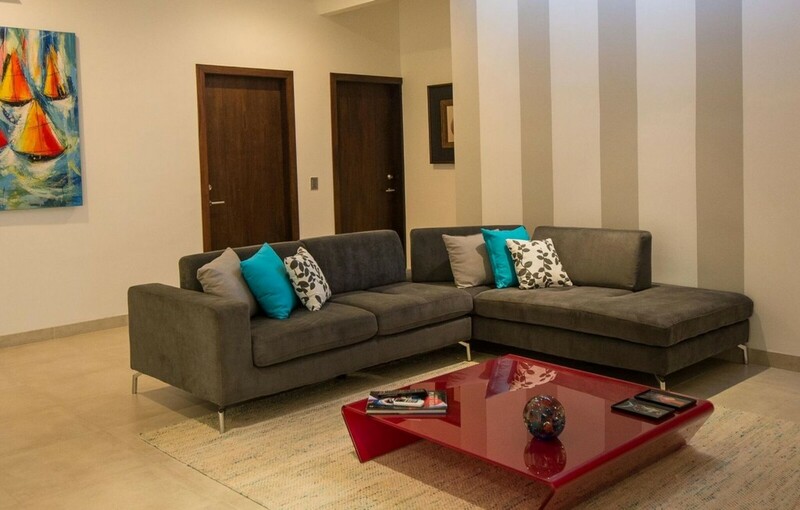 Flat screen TVs, A/C, and free wifi throughout offer comfort. 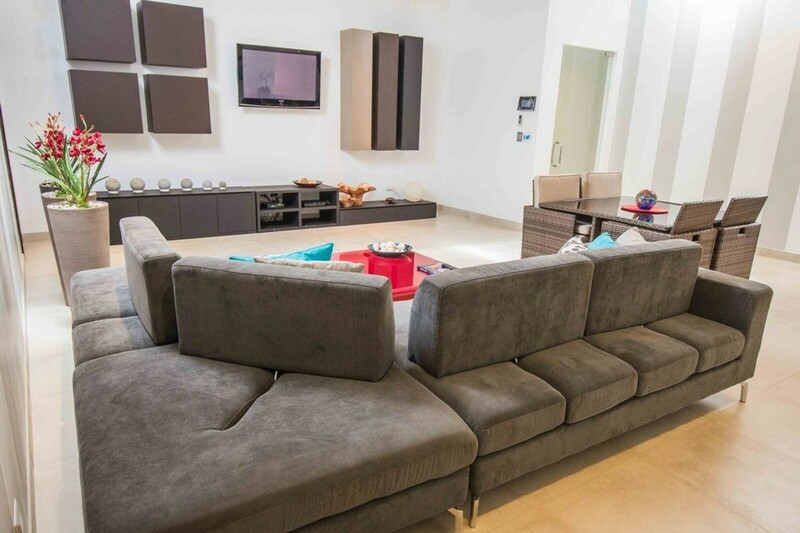 The villa also has a gourmet kitchen and nice indoor/outdoor dining. 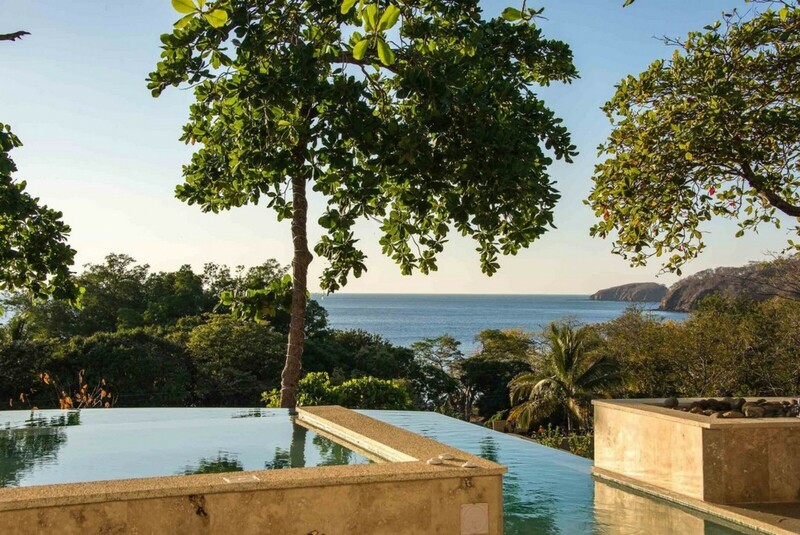 Outside you can enjoy a stunning marble-edged, saltwater infinity pool and spa overlooking the bay. 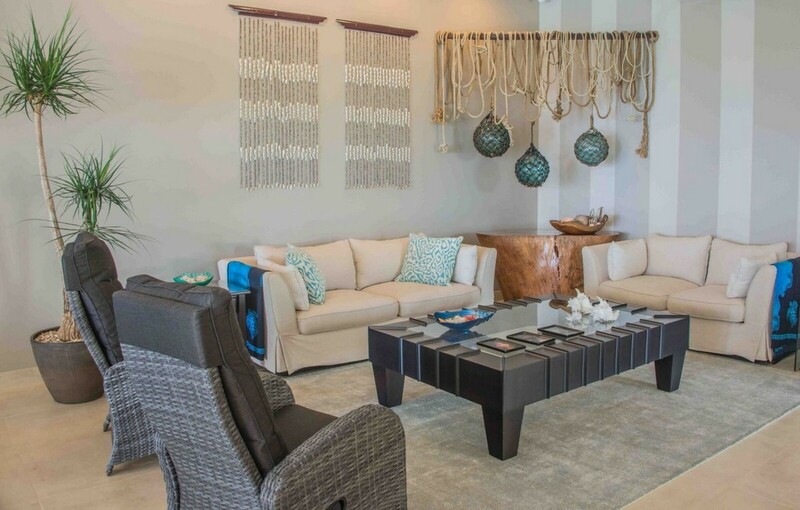 The outdoor space features lounge chairs, outdoor seating, and a covered lenai with gorgeous Ocean Views. One of the best features of the villa is that you are just a five minute walk to the beach, a rare treat! 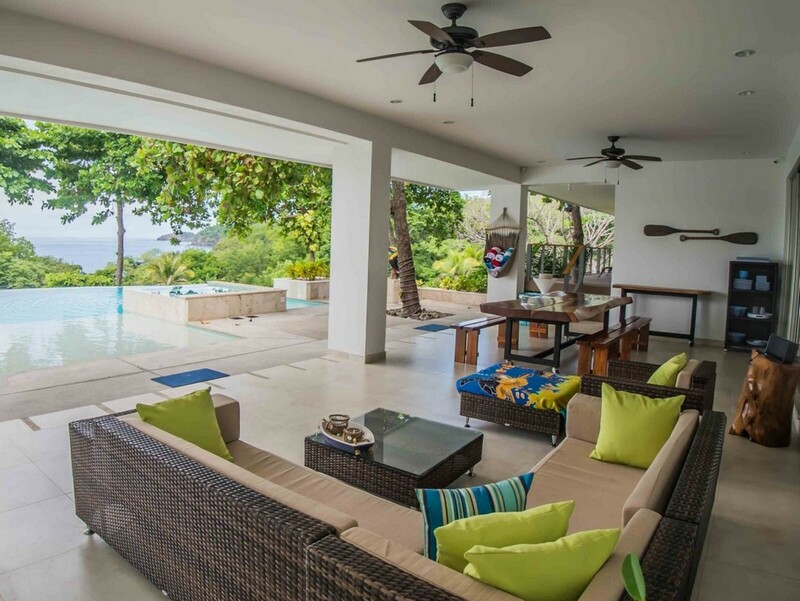 Looking for a Playas del Coco vacation rental that’s perfect for families, groups, and couples? 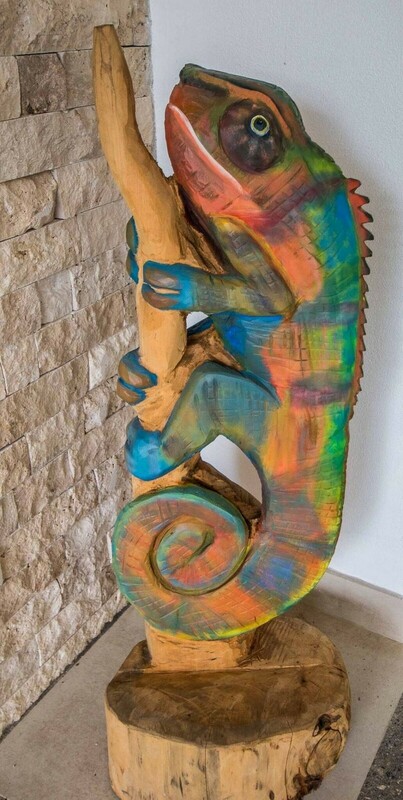 Then Casa Camaleon is the right fit. 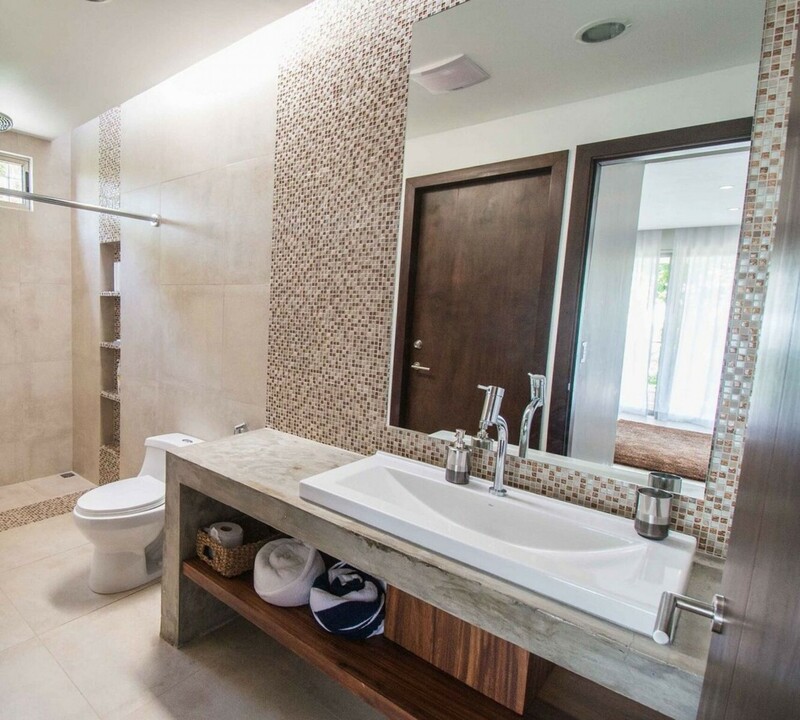 Suite 2 King size bed, En-suite bathroom with stand-alone shower, Television, View of the ocean. Suite 3 Two Queen size bed, En-suite bathroom with stand-alone shower, Television,View of the nature. 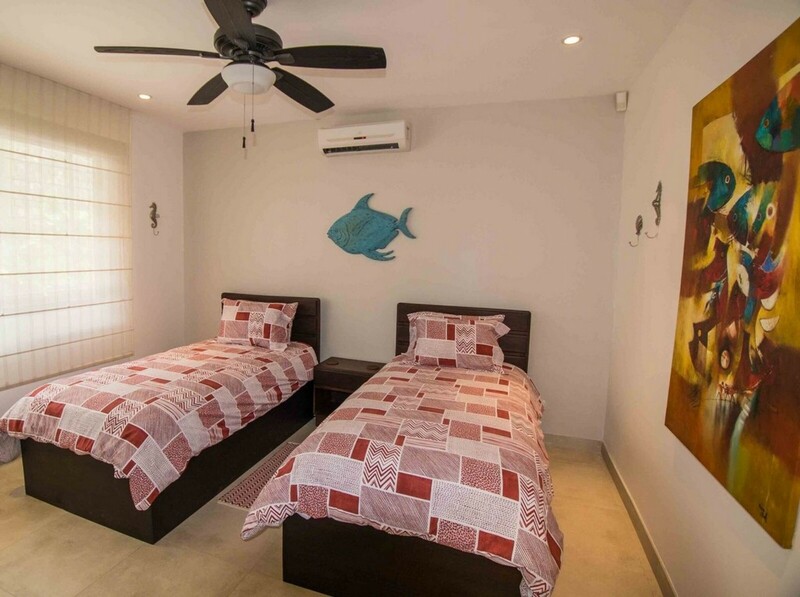 Suite 4 Twins/covert into King sized beds, En-suite bathroom with stand-alone shower, Television, View of nature. Suite 5 Twin beds, bathroom with stand-alone shower, View of nature. 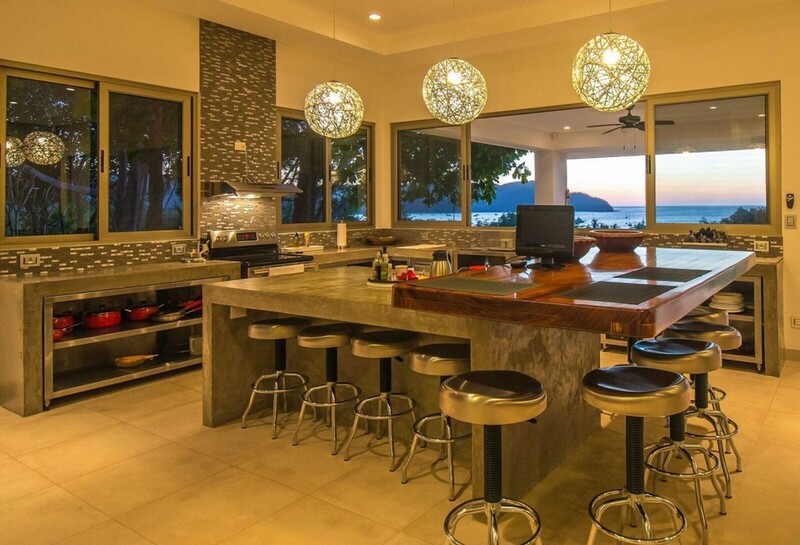 • Meals and/or a private chef so you can taste the local cuisine with ease. 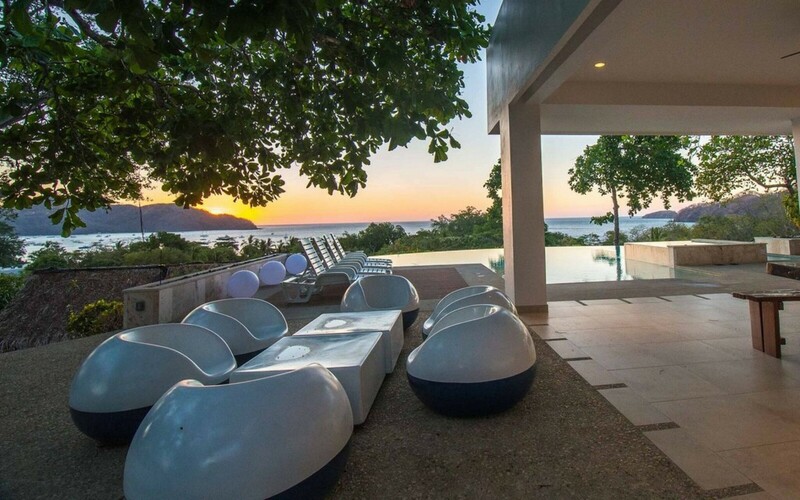 • Massages, facials, and other spa services right in the comfort of your own villa. 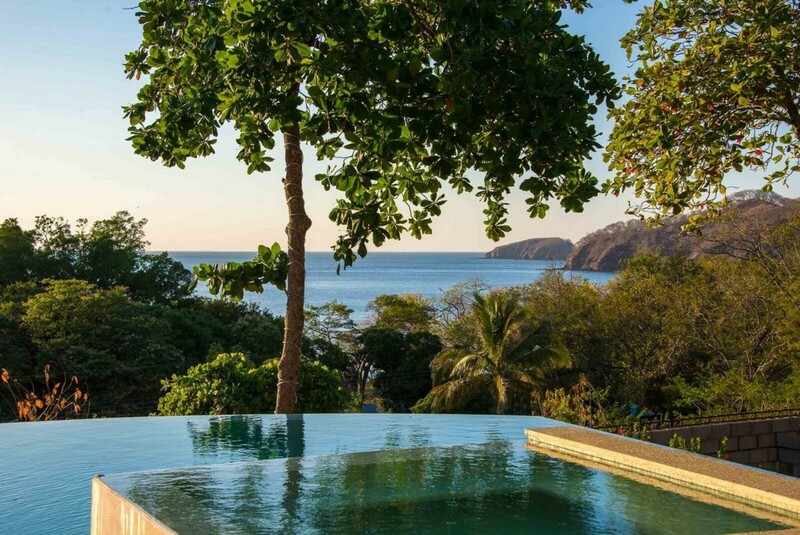 Located just a short drive from Liberia International Airport, Playas del Coco lies on horseshoe-shaped Bahía Coco near Playa Hermosa in Guanacaste, Costa Rica. 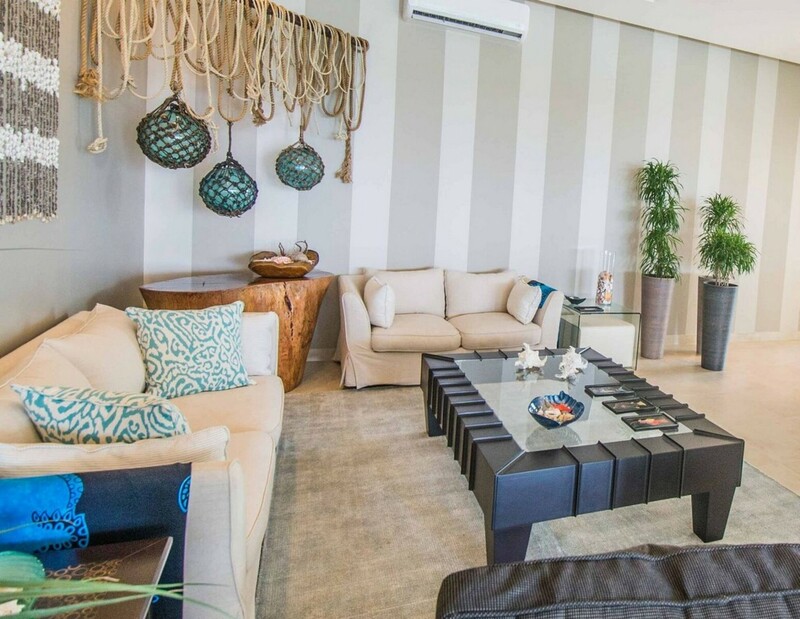 It’s the perfect place for stand up paddle boarding, kayaking, swimming, and lounging by the beach. Boating, sport fishing, and wildlife tours are also available. 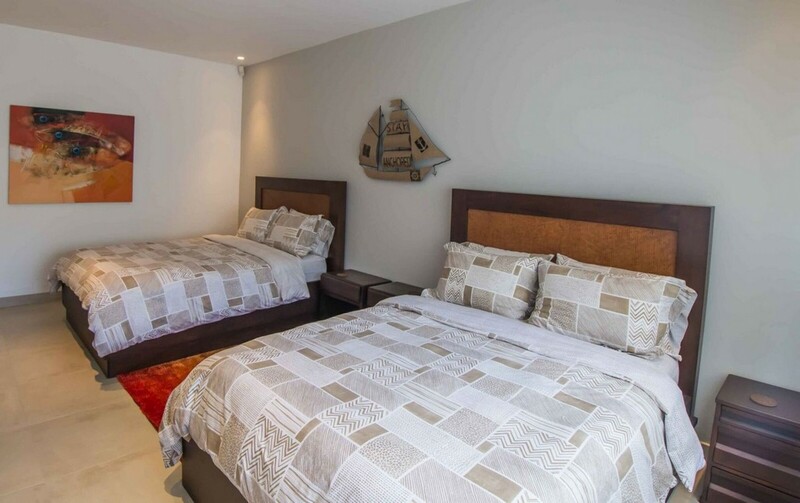 This small fishing village offers a variety of great restaurants, bars, and entertainment options in its town center, and is close enough for a day trip to the cultural hub of Tamarindo. 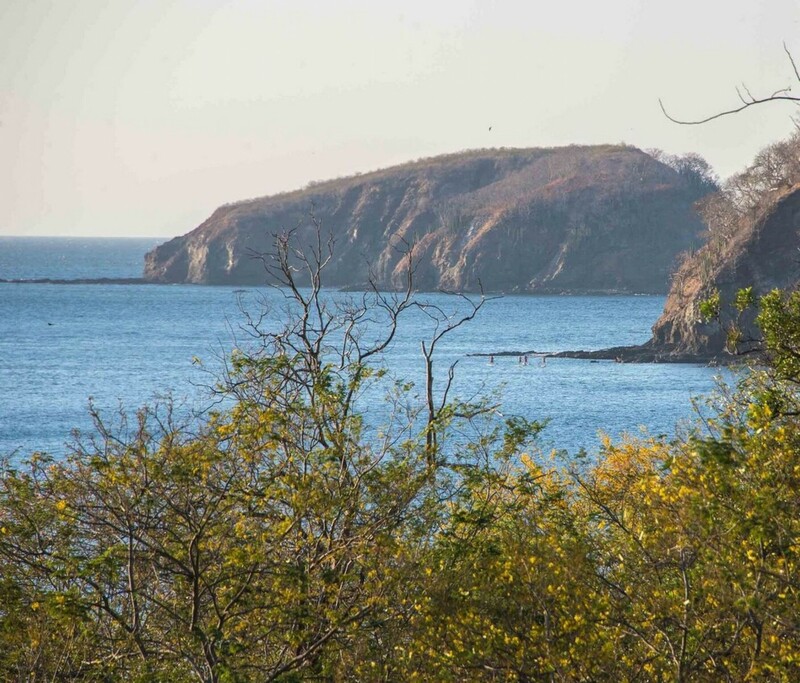 Parque National Marino las Baulas is also close, and offers the chance to experience some of the best of Guanacaste, such as seasonally nesting Leather back Turtles, stunning beaches, and beautiful hikes.